Welcome to QB Meetings with Erik Ainge, exclusively on SportsRadioWNML.com! 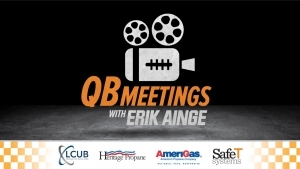 QB Meetings with Erik Ainge are brought to you by LCUB, Amerigas, Heritage Propane and SafeT Systems! Show them your support! Erik Ainge gives you a rare, insider view of UT football plays, present and past, from the perspective of a former University of Tennessee quarterback and current sports talk show host on Sports Radio WNML. 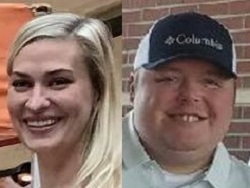 Whether it’s screenshot illustrations or at the dry erase board diagramming plays or analyzing plays through video, you will enjoy the insight about UT football and maybe learn some things from the UT QB in our “QB Meetings with Erik Ainge” on SportsRadioWNML.com! Here’s the QB Meetings video playlist of past shows. Click the 3 lines (top left) to see the video playlist. Listen to The Erik Ainge Show, weekdays 9am to Noon ET on Sports Radio WNML! Visit Erik’s new website, TheErikAingeShow.com! Erik will diagram & discuss your play on QB Meetings with Erik Ainge on SportsRadioWNML.com and brought to you by LCUB, Amerigas and Heritage Propane! Give us your full name, so we can credit your play entry. In case we need to reach you about your play. Give us one UT football play you'd like Erik to break down in an upcoming QB Meetings video. This can be from last year, recent seasons, when Erik played at UT, farther back in UT history or even a general type of play you'd like him to diagram. If you have more than one, please enter them separately. Thanks!